In this image the large channel from the previous image is just visible at the bottom left of the frame. 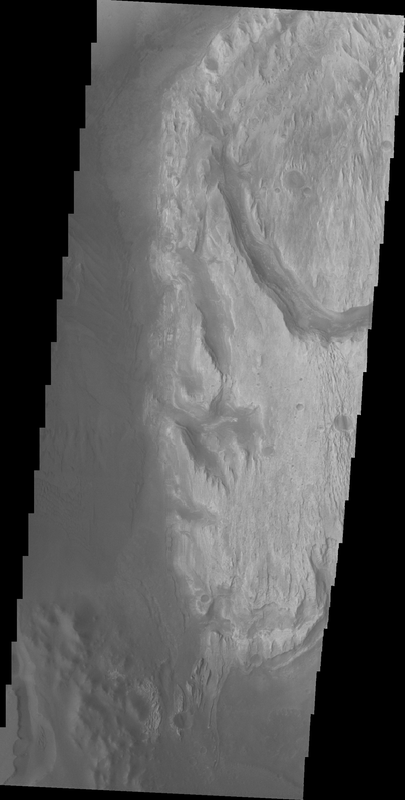 The rough appearing dark material at the bottom of the image was likely deposited by the large channel. This image shows how close that material is to Mt. Sharp and also how different the two deposits appear in a visible wavelength image.